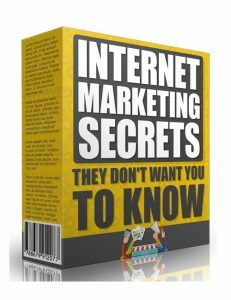 Internet Marketing Secrets They Don't Want You To Know is the deep dark diamond in the rough that's going to give you the knowledge and firepower to create your successful online marketing dream and make it happen faster than you ever imagined. This is invaluable information in front of you and you need to understand that because of this you are playing with fire. A fabulous fire but you need to know how to manage and control it and that's exactly what this video does. It gives you the power to take what you know and apply it to your top notch niche and translate that into constant money that just never stops. Does that sound inviting to you? I sure hope so or I'm really wasting my fingers. Internet Marketing Secrets They Don't Want You To Know is the move you must make today. Time to get moving so you can create your success and smile forever. How To Catch A Cheating Lover - Stealthily Catch A Cheating Lover When They Least Expect It is a wonderful wild and whacky professional step by step guide that shows you how to catch a lover who is messing around elsewhere behind your back and nail them good! Emotion fogs your brain and that's why you need this logical video to direct and guide you on how to tactfully and successfully beyond the shadow of a doubt catch your lover with their pants down making hanky panky as rock solid proof that they are cheating! There will be no way out of this one and you will be seated pole position driver's seat where you belong. Sometimes you've got to take the bull by the horns and this is one of those times. How To Catch A Cheating Lover - Stealthily Catch A Cheating Lover When They Least Expect It is your solution to nail your lover once and for all. Grab it now and get it done. 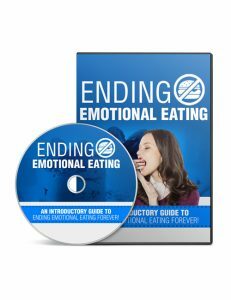 Ending Emotional Eating - An Interactive Guide To Ending Emotional Eating Forever is a fabulous direct and take action video to learn all about what emotional eating is all about and how to squash it forever. Emotional eating is a roller coaster many people can just never get off. It's a top niche because so many people suffer from it and are always looking for tools to help them beat it. This video is that tool and it's also an EXCELLENT affiliate marketing niche to use in order to make some sweet cash for yourself. Actions speak louder than words and this impressive interactive video really knows how to hit a home run with the message. Everything you need to succeed is right here in this tantalizing video. Ending Emotional Eating - An Interactive Guide To Ending Emotional Eating Forever is your solution today. Grab it and start progressing! You can never be too safe these days and having all your internet data backed up automatically is critically important. 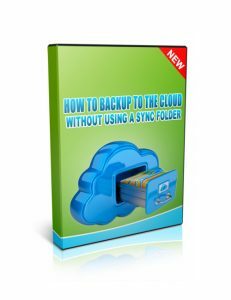 The icloud is your answer and this video gives you the tools you need to make it happen quickly and with gusto. There will be no more losing files and wondering whether or not you are backed up or not. This is a setup and forget sort of deal and when you're running a business that's fantabulous. Easy access and quick to set up is what it's all about with this superb video. Midsection Meltdownn is exactly what you need in order to fight the bulge and win! This video answers your questions as to why you are gaining blubber in your mid-section and from there offers practical take-action solutions you can implement with ease. It's not about just eating the wrong things that makes you fat. There is SO much more to it than that. This video guarantees you'll get healthier and happier and from there the rest will be ancient history. Your energy levels will shoot up and your life will just shine brighter all around. EVERYTHING you need to succeed is right here in this video and it will take you no time at all to zip through it and apply. Midsection Meltdown is the quick-fix video tool to melt belly fat FAST. Take action and I promise you'll thank me for it.